However let me let you in on some important factors if you intend to go into this business. In Nigeria, yam is one of the most common food consumed in the country, There are several ways to prepare yam, it can be eaten fried, boiled, pounded, etc. it is generally accepted and this is one of the major reason yam production is a very lucrative business in Nigeria. Nigeria alone produces about 6 millions metric tons of yam annually and is regarded as the highest yam producers worldwide. This number of is consumed in the country and exported outside the country. The demand for yam is not just Nigeria, its all over the world and this is why the demand is very high. Currently in Nigeria, a tuber of yam cost about 300 Naira depending on the size however if you are exporting it’s higher. Now a 500 meter square piece of land will produce 50,000 tubers of yam, if you multiply it you will get N15,000,000. With the millions metric tons of yam produced annually in the country yet the demand of yam is still very high and this is due to the less supply of yam. To start a successful yam farming business you need to get a suitable farmland. This is very important. The best kind of soil for yam farming is loamy soil or silt loam, this is a very rich soil with enough organic matter that supports the growth of yam optimally. Also the yam grows best in an upland region with a good drainage system. All this features should come to mind when choosing a farmland for yam farming. Once this land is acquired, you will need to prepare the land for cultivation. The best way to cultivate yam is making heaps or ridges that should be about one meter high and one meter apart from each other. To grow healthy and big yam is advisable to apply fertilizers because yams are known draw lots of nutrients from the soil. They are inorganic fertilizers and organic fertilizer. For yam farming, organic fertilizers works just fine, before cultivating the yam, take out time, add fertilizers, ensure these fertilizers are properly mixed with the soil leave it for a day or two before planting. To cultivate the yam you need healthy setts. This setts are tubers and they can be in different types, the head setts, middle setts and the tail setts, they can be whole or you can cut them into smaller pieces, depends on the size. If the setts is not gotten from a health stock you will not have a healthy yam produce, so you must select your setts from a very healthy stock to have a healthy yam produce. Yam produces at its best when planted during the beginning of the rainy season or during the rainy season. Full attention and care should be given to them. All weeds should be removed with most preferably with a hand tool so as to avoid damaging the the plants. During the time of harvest you would know when the foliage begins to dry up. This is the best time to harvest yam for consumption but is for setts you can do the harvesting later. Like in every business, there are challenges, in yam farming/production business experience is a good advantage. It also depends on the scale you want to do this business, if its on a large scale, you need a good Yam farming/production business plan and feasibility studies. This business plan is written by professionals that have experience in this field. If you jump in without proper planning and business plan you are likely to jump out. 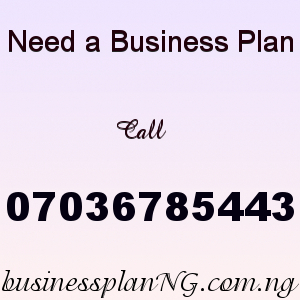 The best thing to do is to ask questions, get a business plan so you can know what is required of you. In controlling pests, diseases and weeds in yam farming, there are some pesticides that are harmful to the crop, so don’t just get any kind of pesticide and herbicide, like i said ask questions to get the right one. Our sample yam farming/production business plan in Nigeria can be used to access bank loans, proposal writing and grant applications. The business plan was complied after a thorough feasibility study on yam production in Nigeria was done. After you have made payment for your Yam Farming/Production Business Plan in Nigeria and Feasibility Study, send your email and payment details to 07036785443.